If you read my first post about surviving your Saturn Return, you’re probably well aware of the potential pitfalls and gold pots at the end of the rainbow that strew the path of adulthood. As you also know, Tarot is my primary tool for examining overarching patterns in a person’s life. Unsurprisingly, the cards of the Major Arcana provide a valuable resource when it comes to navigating your Saturn Return with mettle and spirit. Just as you have a sun sign, you also have a Saturn sign. Your Saturn sign designates the areas in your life where you could stand to develop more discipline and authority, and a greater sense of how you can catalyze your life purpose. Of course, this journey isn’t all hand-holding, inspiring Facebook quotes, and fun personal-development workshops. In fact, the Saturn sign’s favored method of spiritual character-building speaks softly and carries a big stick; it tends to show you where you could stand to grow up the most, and where you have the most potential for positive transformation…that is, if you work super hard and diligently to get there. Your Saturn sign gives you an idea of where the hard knocks in your life might tend to occur, but it also points to innate positive qualities that may act as a sort of antidote to the deep doo-doo you’re likely to get yourself into. To offer you an example, my Saturn sign is Virgo. Virgo has an innate sense of personal responsibility, but her persnickety attitude toward accomplishment can turn her into an overly serious prune well before her time. Instead of getting sidetracked by trivial details, I’m best advised to prioritize and discriminate, and to determine for myself where true north is (since Virgo is also prone to absorbing outside opinions and allowing conventional notions of success to override her passions). While your Saturn sign is pretty much ceaselessly at work throughout your life, and is liable to throw you some karmic curve balls from time to time, it’s especially critical to pay attention to it when you’re in the throes of your Saturn Return. Here’s where Tarot comes in. 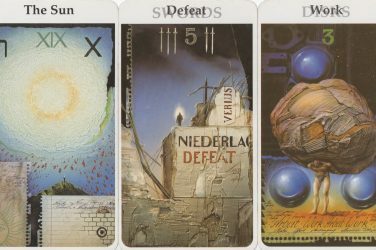 Many of the cards in the Major Arcana are linked to a Zodiac sign (the cards that aren’t mentioned here are traditionally linked to planets). 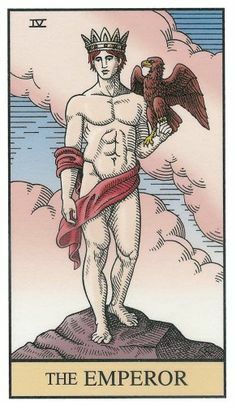 The archetypal figures in the Tarot offer you an encapsulation of the essence of each sign, as well as the light and shadow qualities of the sign. You can pull up your comprehensive birth chart here. This time, bypass your sun sign altogether and go straight to your Saturn sign. When this vital astrological information is linked to the symbolic realm of the Tarot, you can bet your lucky stars that even more doors will be flung open along the path to understanding and navigating your Saturn Return. Saturn in the first sign of Aries is linked to the archetypal masculine: The Emperor. A Saturn ruled by the Emperor indicates a great sense of loyalty and an unfaltering adherence to one’s principles. If you’re graced with Aries, you can expect your powers of analysis and your own internal sense of authority to see you through any trials or tribulations. The great danger of this sign, however, is in swinging from one extreme to the other (e.g., from recklessness to hypervigilance). Personal ambitions should always be tempered by your higher ideals. Addiction under pressure tends to be specific to those whose Saturn is ruled by the Emperor. Although this archetype seldom cracks under pressure, workaholism and a penchant for narrow-mindedness may lead to dead ends. The earthy bull of the zodiac is best represented by The Hierophant, who stands for the wisdom of higher knowledge. 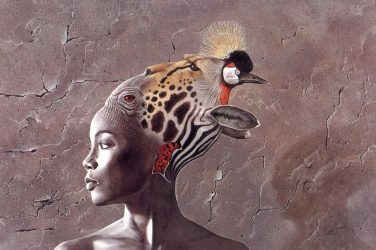 Because Taurus has a reputation for being somewhat territorial, the Hierophant encourages this Saturn sign to expand his horizons from a rigid, institutionally based way of looking at knowledge to one that is inclusive and holistic. Given the Taurean penchant for indulgence, a Saturn sign in Taurus often points to secret (or not so secret) hedonism, which can result in addictions and potential money problems, especially during your Saturn Return! The Hierophant represents our highest spiritual ideals, but it’s also connected to the disillusionment that may come from having rigidly followed a path that no longer serves us. This archetype teaches us to trust our instincts and to surround ourselves with good people whom we can trust to call us out on our worst traits. More than anything, it warns against miserliness—in wealth and in knowledge. Gemini is the sign of duality and connection, so it’s little wonder that it’s represented by The Lovers. This is a card that not only points to the importance of partnerships in our lives, whether intimate or not, but also the presence of high-stakes decisions. Because Gemini can veer into dangerous black-and-white thinking, a Saturn that’s placed in The Lovers tends to encourage us to blend the wisdom of both our inner masculine and feminine in problem-solving. Morality and commitment are also deeply ingrained in this archetype. Personal integrity, using our relationships to bolster our spiritual growth, and ensuring that we take the middle path to happiness are all issues that a Saturn in Gemini person will find especially heightened during their Saturn Return. Cancer is one of the most internally directed of all the signs, so the Saturn Return can often be experienced as a clash between the safety of holing up in one’s hermit hole and the necessity of taking on a greater degree of visibility or responsibility in one’s external life. 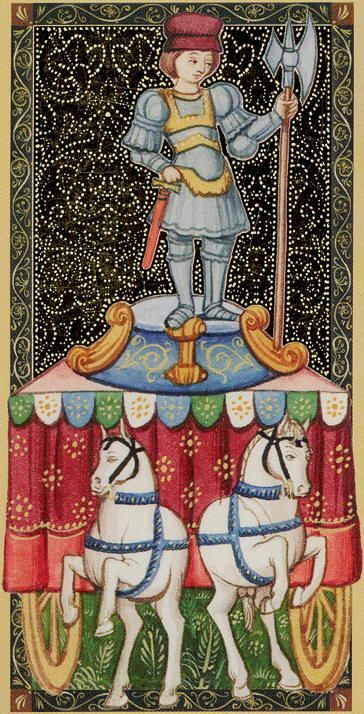 The Chariot, which represents the razor’s edge between fear and desire, cowardice and triumph, is an apt representative for Cancer. A Saturn Return influenced by the Chariot designates a period of turbulence and many tests. It necessitates a deep strength that may seem alien to the customarily reticent Cancer. At the same time, the longing for security masks an uncompromising thirst for freedom and adventure. Don’t be surprised if this period marks a time of travel and wanderlust! Leo is the (sometimes self-appointed) darling of the Zodiac, and in its healthiest sense, represents the vital aspects of an empowered ego. The Strength card, which often depicts a woman petting or riding a lion, reveals the alchemical process of strength wedded to gentleness. The woman in the card has learned not to quell her instincts but to dance with them, to honor her innate wildness and feral nature without allowing them to get out of control. In many ways, a Saturn sign in Leo symbolizes the death of the ego, even as we learn to love the parts of ourselves that are truest and deepest. It can denote some kind of trauma or death, which may result in either deep despair or the courage to overcome our obstacles, as well as the strength of spirit to think beyond our own needs. The best guide to growing into ourselves during the Saturn Return is to follow the path of least resistance, while cultivating purposeful rituals of self-care and self-love. Thus, if your Saturn sign is in Virgo, you have the ability to determine what is true, what is worthy, what is real—and to commit yourself wholeheartedly to these things. The Hermit, one of the most mysterious wisdom keepers of the Major Arcana, teaches you to detach from the minor details (which are so easy to get sidetracked by) and to harness your sense of personal responsibility by focusing on purpose—not the purpose you may have grown up belaboring yourself with, but the one that stems from your most internal and hidden sense of self. A Saturn Return influenced by this sign and Tarot card will deeply acquaint you with the turbulence of your inner world, as well as the places where your desires are in conflict with your sense of duty. The Hermit teaches us to go within and to throw off the shackles of public opinion, not so we can leave it behind but so that we can discover what is true for ourselves. Libra all about balance, and if your Saturn sign is in Libra, your Saturn Return will likely steer you into some situations that will urge you to step back and weigh things in the balance. 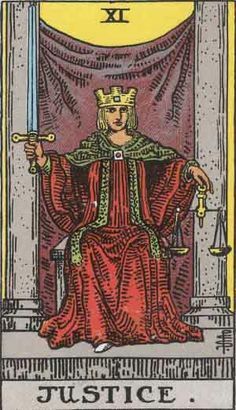 Libra is the Zodiac’s resident diplomat, so it’s no surprise that the Tarot card for this sign is Justice. While a Saturn in Libra teaches you to balance personal needs against global responsibilities, it is also imperative that you take a bird’s eye view of your life and do your best to remove your personal biases from your assessment of what is happening. Things may not be as they seem, so analyzing and assessing your situation from various perspectives will help you arrive at a more detailed and objective truth. Your Saturn Return will likely be a time that teaches you not to act on whims, but to think clearly and logically about the long-term ramifications of your actions. Moreover, Justice teaches you that life is not a zero sum game. If you find the scales weighing too heavily in one hemisphere of your life, it’s time to pull back your energy and redistribute your weight and power. Indecision and a tendency to deliberate too much before taking action can paralyze you in finding happiness, so be cautious about overthinking things! If you have Saturn in Scorpio, you are the kind of person who knows exactly what you want—to the extent that you can be somewhat impatient or tyrannical when it comes to getting it. Your intensity is connected to the energy of the Death card in the Tarot, which demands nothing less than everything from life. Your Saturn Return may, therefore, be a time of death—which can be therapeutic in the sense that you are more than capable of shrugging off the burdens of the past…but it can also be painful, especially given that you are unforgiving in the arena of relationships. More than anything, the Death card symbolizes the deep desire to be reborn, so your Saturn Return has the capacity to be deeply cleansing, especially in the arena of your spirituality. At the same time, Scorpio has a deep fear of relinquishing power and being taken advantage of, so the path you choose may be more sustainable if it creates calm rather than a ripple effect of chaotic relationships and situations. 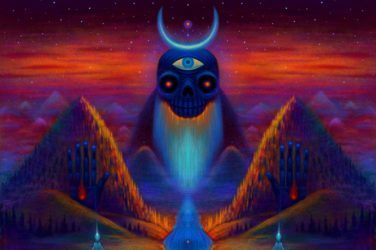 When you embrace the power of Death, you learn that the fluidity of identity enables you to let go of your need to control people and your environment—and takes you into the depth of your true power. Philosophy, education, religion, and institutions of higher learning are all part of the terrain of the ever-curious Sagittarius. While a Sagittarius sun is legendary for its flightiness, a Sagittarius in Saturn tends to structure the desire for knowledge considerably—to the extent that you might be someone who tends to be overly conservative or stuck on your individual point of view. Your Saturn Return may be about calibrating your point of view, determining what knowledge is useless and what knowledge is helpful. Because Temperance is the Tarot card that rules this sign, your Saturn Return will probably have to do with curbing an overzealous nature and gaining insight when you choose to find common ground with other people, especially those who may surprise or disturb you. Temperance is all about mediating between your beliefs and those of others, so that your viewpoint is all-inclusive. At the time of your Saturn Return, you may be called to walk the path of a master by choosing the middle road and developing your ability to empathize with those who are very different from you. Capricorn is the Zodiac sign that is ruled by Saturn, so much of the Saturnian influence is concentrated in this sign. As a result, the energy of a Capricorn in Saturn can feel heavy and intensified during your Saturn Return. Capricorn is also the sign of the goat, which is, of course, connected to The Devil. Contrary to popular interpretations of the Devil as a malevolent card, it is a deeply magical and transformative archetype that takes us deep into our shadow side—not to harm us but to ultimately liberate us from falsehoods. Capricorn tends to be driven by raw ambition, but the desire to be “top goat” can result in an enormous amount of loneliness, futility, and lack of meaning at the apex of the mountain. Capricorn is also driven by the desire to exert control at all times, so if your Saturn sign is in Capricorn, you may have difficulty relaxing—and you may nurse secret desires that never get fulfilled. The Devil tends to signify addiction, attraction to people or situations that may at first glance seem completely in conflict with your straight and narrow path, and hidden information that suddenly comes into sharp relief. The Devil helps us recognize the things that enslave us to bad habits, and at the same time, it teaches us not to recoil in horror but to accept and integrate these aspects. During your Saturn Return, you may find yourself taking a wild ride that’s contrary to the structure you customarily crave, but sometimes such a detour is necessary in order to lead you to a more exalted version of your truth. Aquarius is the visionary of the Zodiac, and when it’s concentrated in your Saturn sign, your originality and desire to improve the state of humanity may make you a controversial figure or someone who is constantly in the limelight. At the same time, it’s generally easy for you to inspire trust, because you live by your ideals; however, this can be lonely, as it may result in cynicism or a sense of false superiority over others. The Star is the Tarot card most associated with Aquarius, and it signifies planetary healing, as well as the ability to cultivate untrammelled optimism in the face of hopelessness. Although Aquarius tends to come across as cool and level-headed, there is great power in allowing yourself to feel vulnerable. While embracing your unconventional ideas, you will also want to reach for deeper connections in your life—especially during your Saturn Return, which may have you spiraling into a long depression and existential crisis. The Star helps you to connect to others by virtue of the fact that you are a natural inspiration. It’s also important to connect to your spirituality or your higher ideals at this time, because if you are detached from either, your despair will only increase. Pisces is legendary for its deep sensitivity—sometimes to the extent that a person with this sign can frame herself as an eternal victim or martyr. When your Saturn is in Pisces, there is a need to give more structure to the energy of this sign, which is fairly ethereal, delicate, and in nature of being dissipated in our overstimulated world. 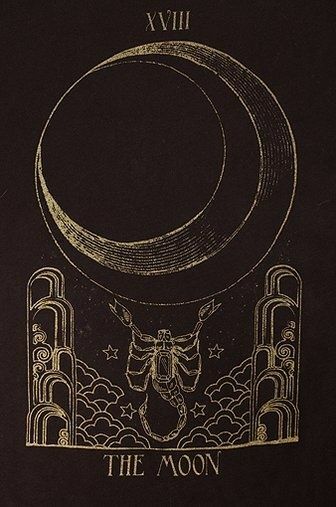 The Moon is the card that most emblematizes Piscean energy, as it denotes the shifting lunar phases of the psyche. The Moon is connected to our intuition, so your Saturn Return is a time of learning to surrender to your emotions and to trust your cycles, for the purpose of healing past wounds (which Pisces tends to magnify rather than release). The Moon helps us trade our illusions and fears for grounded visions of what we can bring into the world, as it enables us to heal the parts of our lives that keep us stuck in our nightmares. 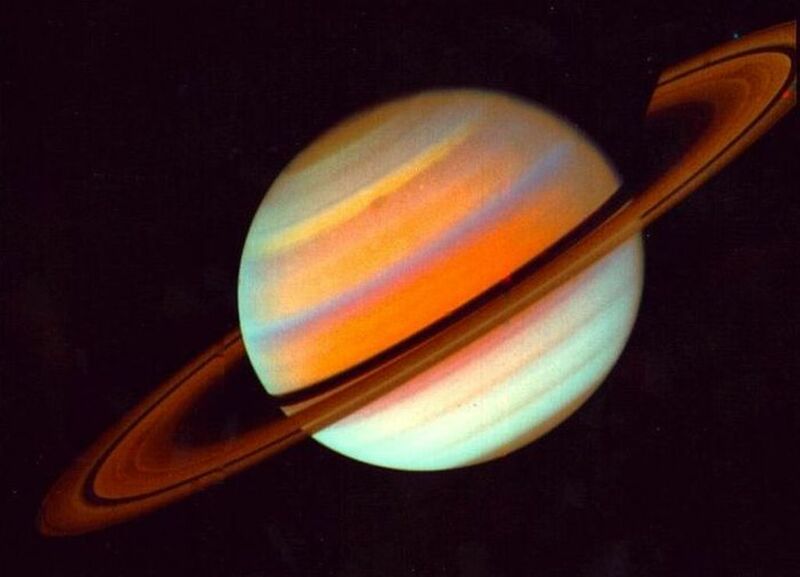 During your Saturn Return, you will be stretched beyond your comfort zone, especially in the area of developing self-confidence and creativity in order to express the hidden voice within. And although you are deeply empathetic, this will be a time of setting boundaries around your time and energy, which will actually enable you to be more effective in helping others. 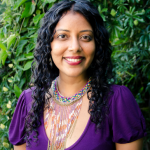 Nirmala Nataraj is a personal mythmaker, desire coach, and writer whose tools encompass shamanic journeying, the wisdom of the Tarot, orgasmic meditation, and Tantric practices. 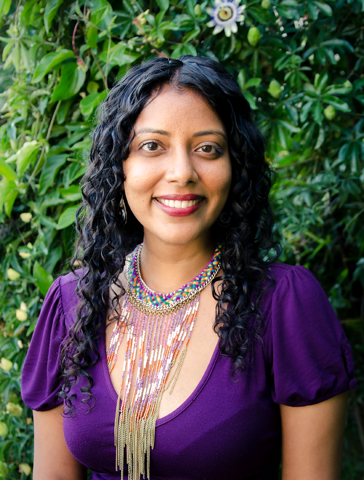 For more information about her work, visit her websites: www.wingedserpenttarot.com and www.sacredfirecoaching.com. My Saturn sign is the same as my Sun sign (Aquarius). If I’m supposed to learn how to curtail certain aspects of my Saturn sign, what does that mean for the expression of my Sun sign? In other words… aren’t I a bit of a paradox? What should I do to be balanced in my case?